Glazing is a vital construction element in our homes and other buildings. It is important to know how to use the right type of glass, in the right place, to make sure that our buildings are secure and to ensure that people don’t get injured in accidents involving glass. Glass is an architectural element of this stylish home. While aluminium sliding patio doors open up the dining room on the right, an elaborate wall of paned glass slides upwards to open up a living space in the centre. Imagine a world without glass. Our buildings would be dark and lifeless. We wouldn’t be able to drive modern vehicles, because we wouldn’t be able to see out of them. We wouldn’t have many of the household items we all take for granted, like drinking glasses, bottles and glass bowls. But that’s not all. Did you know that glass is one of the most significant building elements known to modern man? Of course we use glass for window and door panes in buildings and in vehicles. But glazing (mostly in the form of glass doors, windows and skylights) does more than give us a transparent or see-through material that we can look through. Certain types of glass can help us save energy. Other types improve insulation by controlling the heat and cold that enters and leaves buildings and vehicles. Today there are structural glazing systems that enable architects to design buildings made almost entirely from glass. There is now even a self-cleaning type of glass that reacts to dirt, and breaks it down, so that when it rains the glass is cleaned naturally. In this post we are going to look at the different types of glass used in the construction industry, to see how we use glass to keep us safe and secure. We will also look at what we need to do to make sure that we use the right glass in the right place – especially when it comes to thickness and type. A high-rise block with glass totally covering one side of the building. But first let’s have a quick look at the origins of glass. Have you ever thought about where glass comes from or how it is made? Incredibly, glass is one of the oldest man-made materials and it has been used for many thousands of years, since about 7000 BC. Right from the very beginning, glass has been made from a mixture of a high quality type of sand, soda ash (that helps the materials to melt) and limestone (to stabilise the glass and make it more durable). This mixture is heated to at least 1500 ºC and then cooled to form glass. Of course it’s a lot more complicated than this, but the basic recipe hasn’t changed very much over centuries, although the types of processes used to make glass have changed quite dramatically. Also there are a huge number of different types of glass that have been designed for different purposes, insulation is just one example. 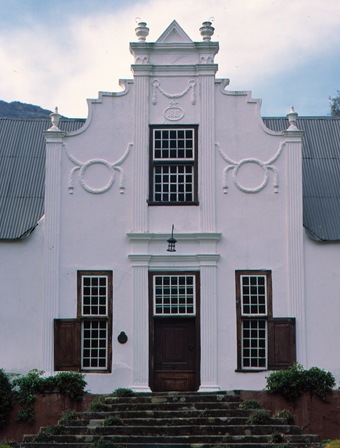 Small panes of glass in the doors and windows of a Cape Dutch building. We’ve only been using flat glass for our window panes since the 17th and 18th centuries. But the modern glass industry only started in England in the 19th century, and one of the original glass-making companies, a British company called Pilkington Glass, still exists today. In the early days most glass-making firms made what is known as crown glass. Then they started making plate glass, and then sheet glass. The invention of float glass in the 1950s changed the industry dramatically, and this is what we rely on for architectural glazing today. When glass manufacturers first started making flat glass for window and door panes there were no machines, and the manufacturer (who was a glass blower) would flatten a heated bulb of blown glass to make a large disc. He would then cut the round-shaped disc to make panes of glass. This was called crown glass. Cylinder glass was also hand-blown, but in the form of a tube or cylinder. The tube was then slit lengthwise and unrolled by reheating so that it formed a flat sheet sheet of glass. Until the 19th century almost all flat glass was crown glass or cylinder glass and most of it was made in England. and then exported to other countries, including South Africa. If you look at very old panes of glass, for example in Cape Dutch buildings, you can see how different the glass looks to the glass we use in ordinary houses today. It isn’t a uniform thickness and you can see ripples in the glass. The panes are also small. When you replace broken panes of very old glass with modern glass you can always see the difference between the new pane and the old panes. Different processes were used to make plate glass and sheet glass. For example early sheet glass was made using the cylinder glass process. Early plate glass was made by squeezing the molten glass out through rollers. The surface was then ground and polished to produce a clear, smooth finish. By the 1920s, a process known as the flat-drawn process was commonly used, where the glass was drawn straight out of the tank in the form of a continuous ribbon as wide as the sheet. The glass was then annealed (or toughened) by heating and slow cooling, which made it tough enough to use for panes. It didn’t have to be ground or polished and it was cheaper than plate glass to manufacture. But the quality wasn’t very good. This meant the glass could be used for windows in houses, but not for large shop windows where it was important that distortion didn’t occur, and people could see clearly what was inside the shops. Today most flat glass is made using the float glass process. The process was invented in the 1950s by Sir Alastair Pilkington (knighted because of this great invention), who was a distant relative of the Pilkington family that founded Pilkington Glass in Britain. When he started work on this project his aim was to produce high-quality glass that could be used wherever distortion-free glass was needed, especially for shop windows and for motor car windows and windscreens. So how is float glass different to plate glass or sheet glass? First of all the method of manufacture is different. The raw materials are heated in a furnace and then the molten glass is literally ‘floated’ over a bath full of molten tin. Irregularities in the glass melt at the high temperature, and because the tin is flat, the glass on its surface also becomes flat. The wide ribbon of glass is cooled as it floats on the tin so that nothing marks the surface of the glass. The result is glass that has a uniform thickness and bright, clear surface that doesn’t have to be ground and polished. The development of the float glass manufacturing method revolutionised the building glass industry. Today float glass is used for clear glass and it is used to make many other specialist products. Small window panes and a glazed enclosure in a modern house. Within each of these categories there are even more choices. For example there are many types of safety glass including types that are soundproof, shatterproof and bullet-proof glass, and types that are tinted, toughened and laminated. While building contractors may install their own glass, in most instances specialist glass fitters are employed as sub-contractors for installation. Clear float glass in a window enables us to see through the window without any distortion. Patterned glass obscures what is on the other side of the glass so that we can’t see things clearly unless they are very close to the glass. The latter is commonly used for bathroom windows. Regular clear glass is the glass that is used for glazing windows in most of our buildings, and nowadays most of it is float glass. There is only one float glass manufacturer in sub-Saharan Africa and their glass is manufactured according to high international standards. However this type of glass is not safety glass and it can only be used where safety glass isn’t required. All clear float glass has to be edge-sealed and the suppliers provide all recognised installers with sealing instructions. Also, the edges of any glass that is going to absorb heat must be polished to reduce the possibility of it breaking because of heat. Installers can use a straight line polishing machine to polish edges. Clear glass is made in various thicknesses. The larger the size of the sheet you are using, the thicker the glass needs to be. For example 3 mm glass must not be used to glaze any area larger than 0,75 square metres and the largest sheet they can manufacture is 2,44 m x 1,83 m. If the area to be glazed is between 0,75 square metres and 1.5 square metres you must use 4 mm thick glass and they cannot manufacture sheets that are bigger than 3.7 m x 2,44 m in size. If the area to be glazed is between 1,5 square metres and 2,1 square metres then 5 mm thick glass must be used, and maximum sheet size is 3.21 m x 2,44 m. Thicker 6 mm glass must be used to glaze areas between 2,1 square metres and 3,2 square metres and the maximum sheet size is 3.21 m x 2,25 m.
Note that these are the dimensions that are given in the National Building Regulations and SABS national standards (SANS) that all designers and installers must follow. Glass is manufactured in many different patterns that obscure what is behind the glass to different degrees. Patterned glass is popular where privacy is important, but where light is required, so it is commonly used for windows in bathrooms (see picture above right) and within offices, restaurants and hotels to separate areas. Patterned glass is also used decoratively in shops and it is used for shelving and for door panes. Patterned glass is produced in thicknesses that range from 3 mm to 10 mm up to about 3 m long. A modern commercial building featuring coloured glass in its facade seems to rise towards the sky. 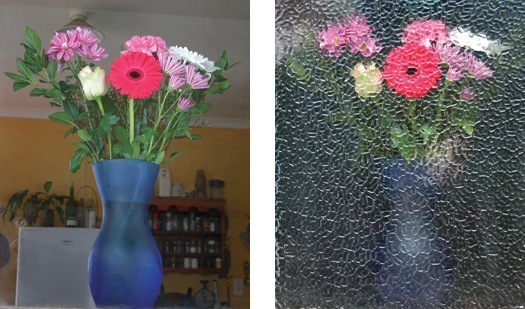 Toughened glass is a lot stronger than ordinary clear glass – probably about five times stronger. It is also a lot more resistant to impact so it is less likely to break, which is good for both safety and security factors. It is also more resistant to wind and it can usually withstand temperatures from as low as -200 °C to as high as 300 °C. Laminated glass is a type of toughened glass. It is made by sandwiching two pieces of glass together with a tough sheet of polyvinyl butyral (PVB) plastic between them. The glass and the plastic are bonded using heat and pressure so that they become one. The result is a tough type of glass that will withstand hard blows from a solid object. And if the glass does break, the fragments of glass stick to the layer of plastic instead of shattering. This makes it a lot safer than normal clear glass and so it is used for both security and for safety purposes. The thickness of the PVB layer in laminated glass affects how safe the glass is. By increasing the thickness of the PVB, the manufacturer is able to improve levels of safety. The table below shows basic levels of safety. The PVB layer in laminated glass may be totally clear, but a tinted layer can also be used to produce coloured glass. Laminated glass is used for double-glazing, where two or more panels of glass are joined together to produce sealed insulated glass. The panels are held apart by a special spacer and then the edges are bonded together. 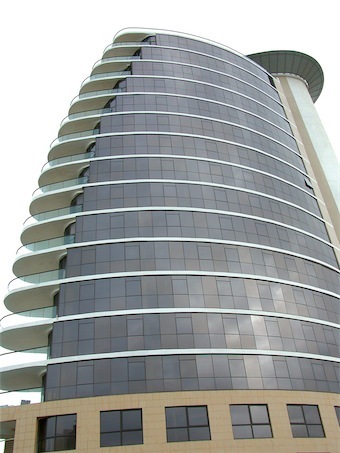 Laminated glass is also used where solar and sound control is needed and for UV protection. Thin layers of material are coated onto glass to add certain properties that change the colour of the glass, reduce the amount of light that goes through the glass, and increase the amount of solar energy that penetrates the glass. Mirrors are also made by coating glass with certain materials so that the glass becomes reflective. 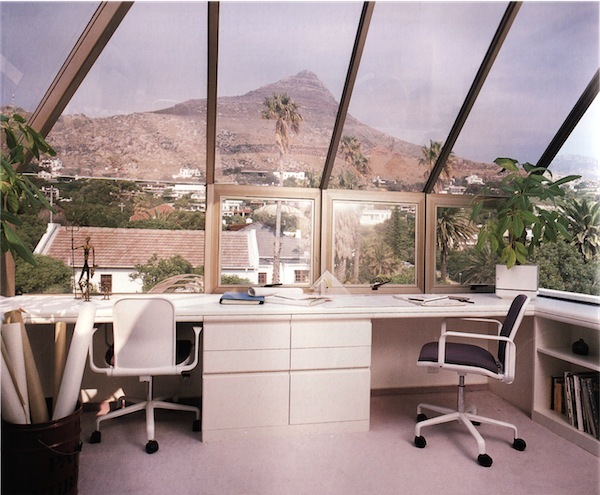 Toughened safety glass is used here for structural glazing and can be installed with or without a frame. Many of these products have more than one benefit. This means that one type of glass might be intruder-proof, safe enough to prevent it breaking if someone falls against it, UV resistant, and able to block out noise. Architects, designers and engineers will usually specify which glass to use where, and specialist glass fitters (called glaziers) normally install the glass. But it is important for supervisors and contractors to understand why different types have been specified and how important it is to stick to the specifications. When we construct buildings, we work from plans drawn by architects and designers that tell us what materials to use. We also work from specifications drawn up by these experts and by quantity surveyors. These plans, drawings and specifications also show us where to install doors and windows and other openings. Whether you are ordering materials or supervising the building process, you will work according to the plans and drawings that have been approved by the local authority or municipality that governs your area. 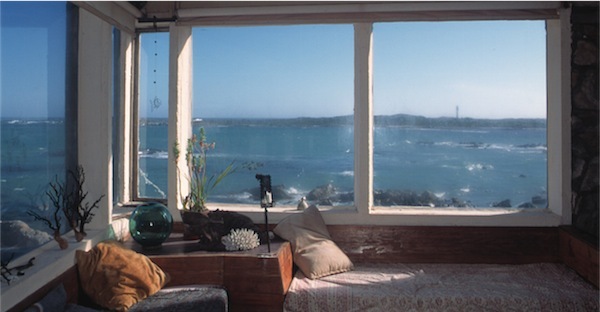 Toughened safety glass forms see-through panels above the sea. When architects and designers choose glass for doors, windows, skylights, panels, partitioning, or other elements within a building, they have to be sure that the glass is suitable for the use to which it will be put. If the wrong type of glass is used, it can be dangerous, because it may not be safe, and it may not keep us secure. South Africa has very strict national standards (SANS that are drawn up by the SABS) and building regulations that govern the installation of glass in buildings. The regulations also say that glass, including coated glass, must be selected so that if somebody walks into the glass they will be as safe as possible. 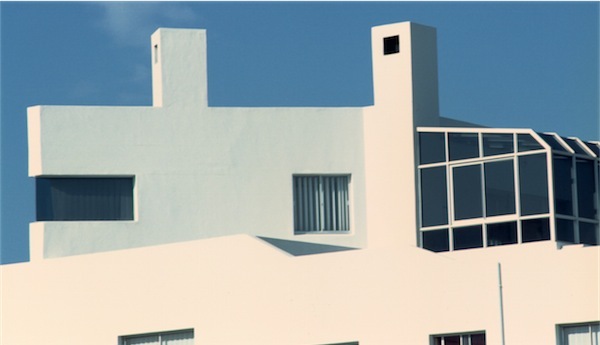 These regulations rely on SANS to make sure that glazing is done correctly. SANS 10400, as explained elsewhere on this web site, is basically a collection of “deemed-to-satisfy” rules. Part N of SANS 10400, published in 2012, covers the installation of glazing and safety glazing. This means it is SANS 10400 that tells us where and when we have to use safety glass rather than ordinary clear glass. SANS 10400-N (2012) cross-references several other SANS for the safe installation of glazing. For instance, it states that glazing must comply with SANS 613 for impact and wind loads in accordance with the requirements of SANS 10400-B, which of course deals with the structural design of buildings. It is vital that the thickness and type of glass used is structurally safe. Several tables are given in the NBR for guidance. The NBR also states that if people approaching clear glass are not likely to realise it is glass, then the glass must be marked as a warning. This can happen very easily if the front of a building, or sliding patio doors have clear glass that is kept very clean and doesn’t reflect anything. Anyone walking with any speed could crash into the glass and get hurt. 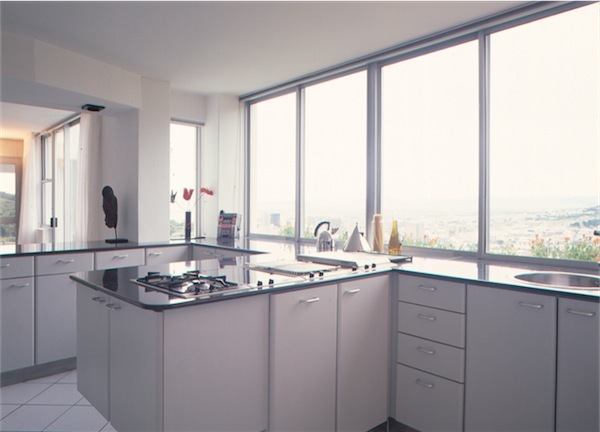 Sliding aluminium windows designed to open up a modern kitchen. Where glass is installed vertically, for example in window panes, it is very important that the glass can withstand the impact of wind. So the SABS experts have written a much more detailed standard for glaziers, SANS 10137 The installation of glazing in buildings. This standard also explains when glass can be installed without a frame. We said earlier that normal clear glass may be used in buildings wherever safety glass is not required. So where do we need to use safety glass? There are very strict rules regarding the safety glazing of doors and windows. Ordinary glass can be used in a door pane as long as it is not more than 1 square metre in area, but then the glass must be at least 6 mm thick. If the glass is any bigger than 1 square metre then safety glass has to be used. 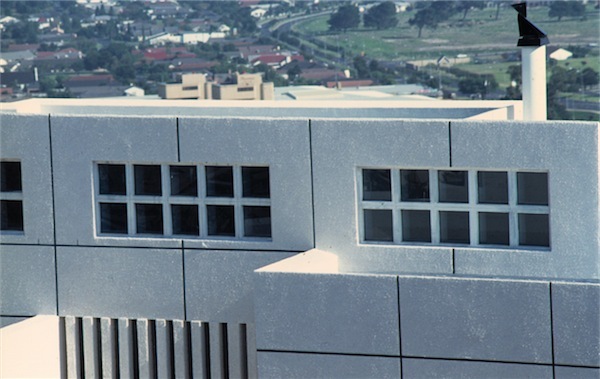 Modular concrete window frames in a modern building. If windows aren’t guarded by barriers to prevent people making contact with the glass, the window sill must be at least 300 mm from the floor. If glass in a window goes right to the ground and there isn’t a barrier of some sort in front of it, it can be very dangerous. It is even more dangerous if the window is positioned directly opposite a door. If the person passing building plans at the local authority considers a window to be dangerous, he or she can insist that the height of the window sill is at least 800 mm off the floor. Otherwise that person can say that the glass used below that level must be safety glass, or if the area is less than 1 square metre, that any other glass must be at least 6 mm thick. balustrades or walls to stairways or ramps where the glass used is less than 1,8 m above the pitch line or landing. Glass must be installed correctly, in terms of the rules and regulations. If something goes wrong and somebody gets hurt because safety glass wasn’t installed where it should have been installed, the professionals, builders and suppliers may be sued in a court of law. 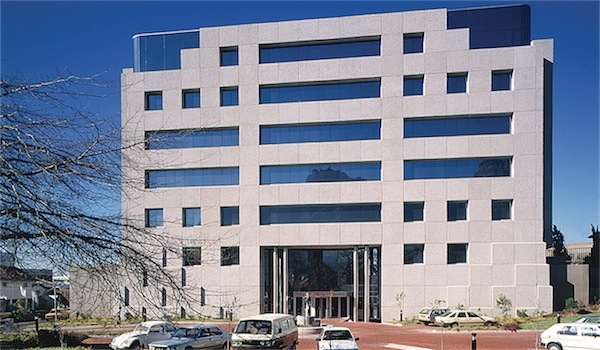 The South African Glass & Glazing Association of Southern Africa (SAGGA) warns that even if an architect, builder or subcontractor was told by his or her employer (for example a property developer or home owner) to install normal clear glass instead of safety glass, that person may be found guilty in court. They say that people with experience and knowledge must ensure that construction is safe. So if any supervisor or contractor has any doubts about the safety of glazing in a building, however big or small, the answer is to check the National Building Regulations and other relevant SANS. If you think that glass in the building is inadequate or has been incorrectly installed and could injure somebody, you need to find out if safety glass should be installed. If you don’t, you could be found negligent. Hi there, i would like to find out if there is a size limit for the width on balustrades per panel and what is that size? Balustrades are covered in SANS 10400-M, Stairways, but there is no information about panel sizes. There is probably a totally separate Standard that deals with balustrades. You will need to contact the SABS for information. You should find most of the info about glazing here. If it isn’t safety glass it may pay you to replace it or force your landlord to. My daughter put her hand through glass that wasn’t safety glass on a rented property and cut an artery. We should have sued the owner! I can get you good prices on that glasses. I am from Zimbabwe and i would like to buy glass products in bulk for re-sale here in Zimbabwe. We are not in the glass manufacturing or sales business.